As if you guys are still not familiar with our life today I am going to write a post about it again. 2 years ago, I wrote about the After Work Hours of a FTWM, so has things changed 2 years later? Oh, definitely! Besides being a full time working mum and a mum blogger, I am also a crafter now, on top of that I cook "ferociously" on weekday nights for a healthy home cooked dinner for the family. Adding on to the one hour coaching the boy on his school work and revision too. All these are new routine that requires time to adjust and I am glad that I persisted, the result is tremendously great! So read on and find out about a typical day of our household. My day still starts early as the alarm went off at 515am (usually at 4am+ on weekend mornings) where the snooze button will be hit a couple of times till its 530am; yes I need time to get myself wide awake. After washing up, I'll go into the kitchen to make myself a cup of instant kopi-O, sometimes I put laundry to wash and off to the study room I go to do stuffs to do before the rest of the family rises. What stuffs? Stuffs like blogging (like now) and finishing orders for my online shop. An hour plus later it's Rise and Shine for the boy who jumped out of the bed almost immediately (I always wonder how he does that!) to wash up. 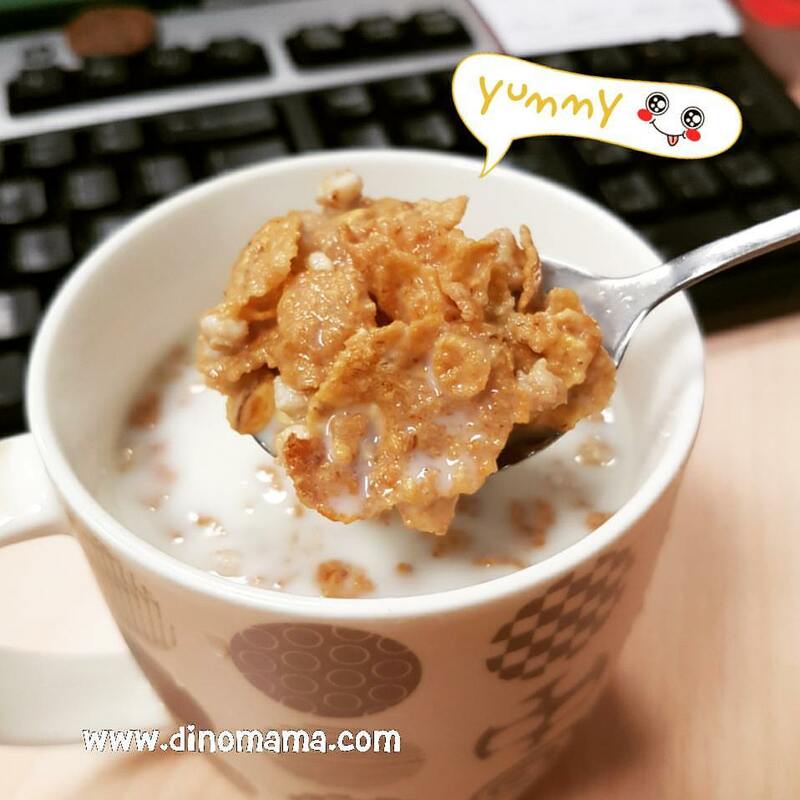 Breakfast for him is usually a cup of Enfagrow formula milk, he rarely eats anything coz according to him "my system has not wake up yet.". I am not the least worried because the milk keeps him full and gave him energy for the morning till his recess later in the morning. School is a stone's throw away, but sometimes we still manage to make him late for school *opps* but this year we are doing great in this area, only late for school ONCE back in August. We parted our ways at the school gate and I continue my journey to my workplace in town. I love the morning train ride to work because I get to do my crafts, its therapeutic and wakes my mind slowly (yupe still feeling sleepy). I reach office on time and starts to settle down to begin my busy day. As I woke up real early, by this time I will be famished, I'll either make myself a cup of instant cereal or milo but recently I've been having a better & healthier breakfast; banana nut crunch cereal with milk is one of them. Well, with a full stomach I am ready to tackle the day's work that includes handling phone calls, courier guys, attending to bosses (I have 7 of them!) requests and work instructions, doing accounts and admin work. Some days it's a mad day where I don't even have time to visit the little girl's room, some days it's peace and quiet that I feel like falling asleep on my table.... Of course NOT! 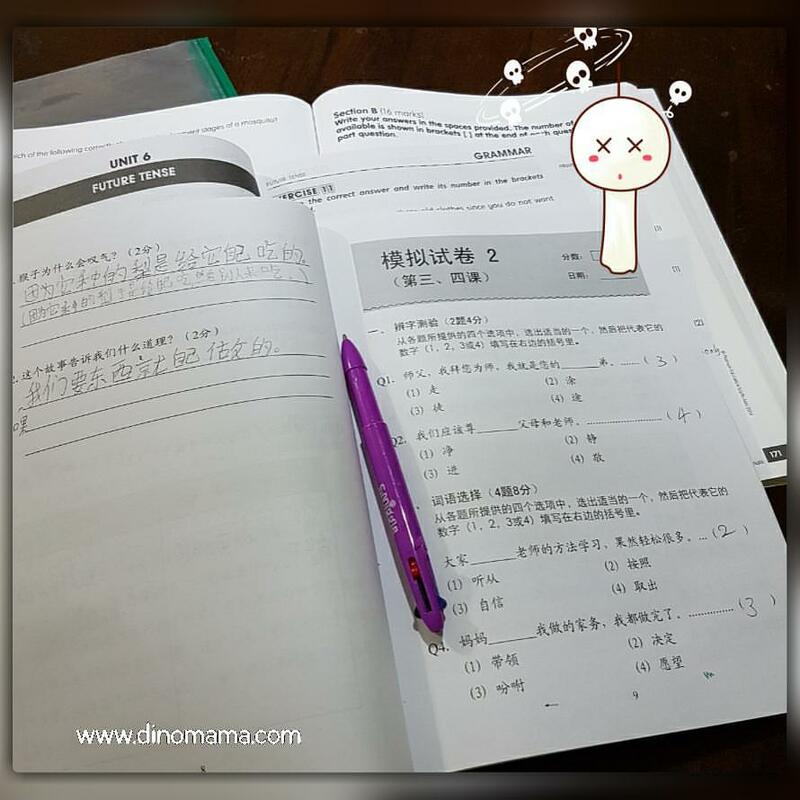 During such times I busy myself on the social media (who doesn't hehehe~) or I'll take out the stack of assessment books or past year test papers which I lugged to work that day to mark. Yupe, I've been more persistent in getting him to do his revisions coz I am more worried about his school work as he progresses towards P5. 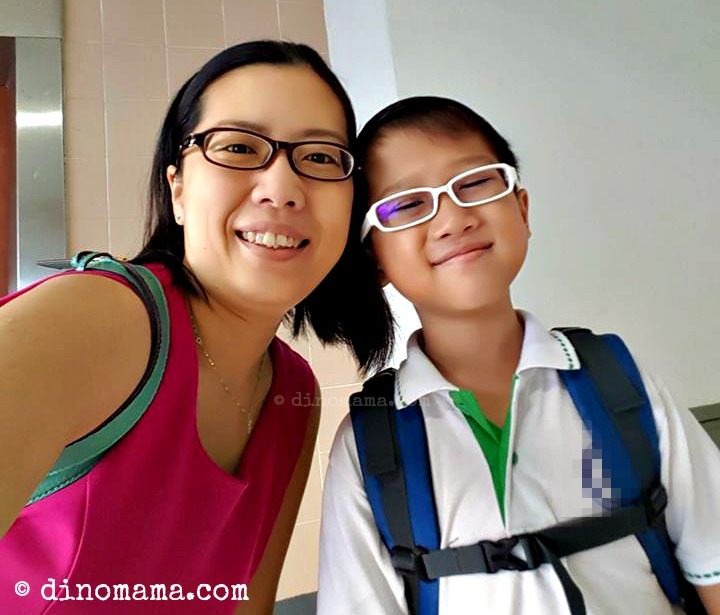 Things will get a little bit tougher and more challenging as the school gears them towards PSLE, knowing my son I know he will do well but there may be chances that he is over confident with himself. 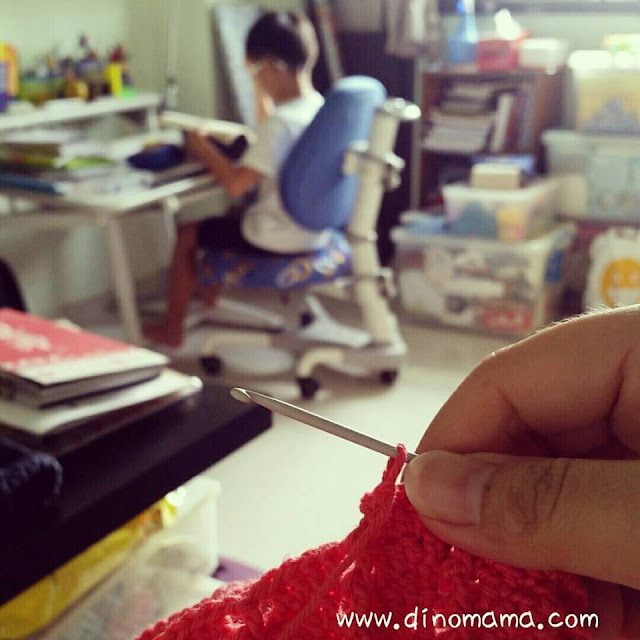 Thus I want to keep his feet on the ground and ensure that he practice & revise his school work. So far our arrangement has gone well, in the morning I will mark them out and leave the books on his study table, he will finish them diligently when he comes home from school. Now, its the marking by this mama that still needs some improvement, that is why I bring them to office. Here are some of the food that I cooked in the office. A friend once mentioned that my lunch is always very exciting because I get to cook different food almost every day. Despite my busy workload I was able to knock off on the dot daily, its a mad rush n squeeze in the train back home, sometimes with that day's dinner ingredients in my hand. Dinner time in the family is a serious affair. I will take turn with DinoPapa to cook and as we probably have about an hour to get everything served on the table, things can get a little bit chaotic in the kitchen. Sometimes temper flares because of reasons like getting into each other's way. Some days things are smoother, DinoBoy has started to help out more in the kitchen since last year so we can let him do some cutting and cooking of the food under our supervision. This boy really like to learn cooking, I think he takes over the dad plus he sees both of us made great food in the kitchen and it inspires him into wanting to follow us too. It's usually 3 dishes + a soup but sometimes we make do with 2 dishes and no soup. Most important thing is we have healthy home cooked food to end our day. As you can see from the follow photos, we have moved on from simple one pot dish dinner to more lavish sumptuous dishes. R&R time after dinner will usually see me sticking my nose at my mobile phone playing games, sometimes if our pet hamsters are out from their slumber early I will play with them together with DinoBoy. We adore both Russel and Bacon, they may be brothers be but their character are totally different. Guess who is the tam jiak or gluttonous one? In a short while we either proceed to the study room to do our stuffs; DinoBoy continue with his revision or he will grab a book to read while I sit down to do my craft work. If he's doing revision it will take him about 30mins, after that it's reading time. 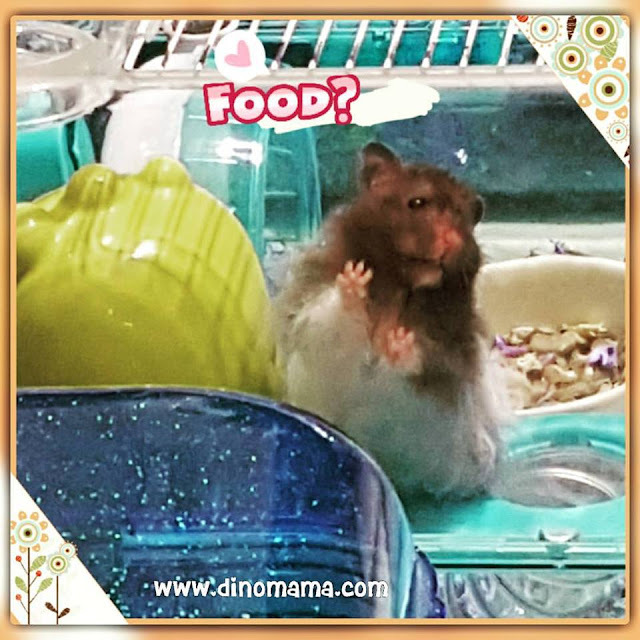 We do not have screen time; exceptional case to DinoPapa (dads always do not fall into the Rule thingy) on weekdays, now that he is older, he is able to plan out his time, keep himself occupied instead of bugging me to play or entertain him. Things are getting slower at home for me, especially the night. Although I do not have After Work Happy Hours I am starting to meet up with my girl friends recently. We agreed that it is going to be at least a monthly meet up so we shall see how things turned out. 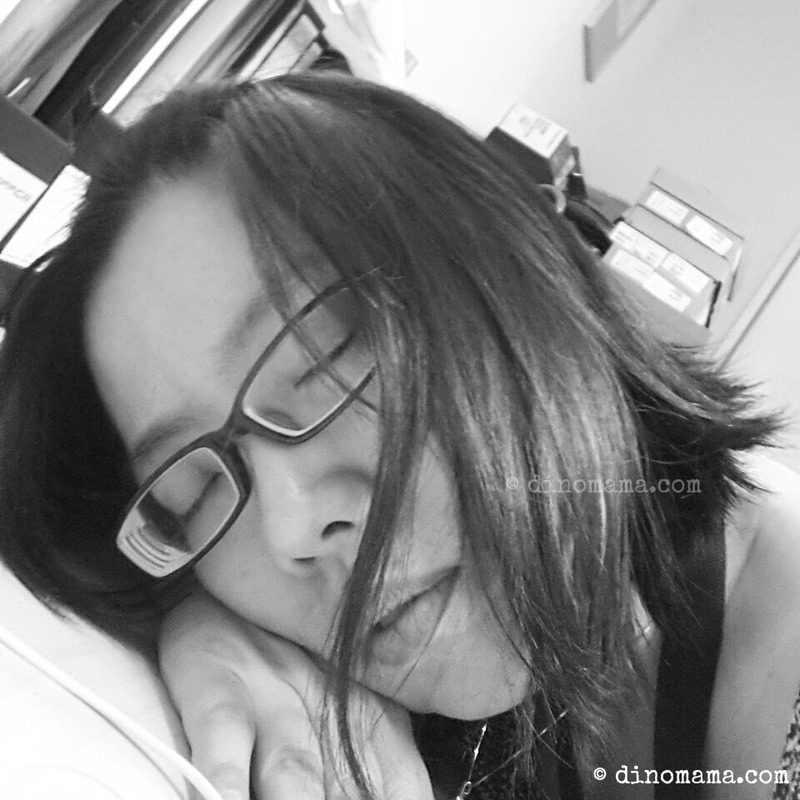 Bed time is 10pm for DinoBoy, I will stay in the study room to finish up my craft or a little bit of blogging before turning in for the night about an hour later, that also marks the end of the day for us. This post was written as part of the Day in a Life (DIAL) blog train that is being hosted by Mum in the Making. Please click on the button above to read more DIAL posts. It's been so interesting taking a peek into the lives of other mums! 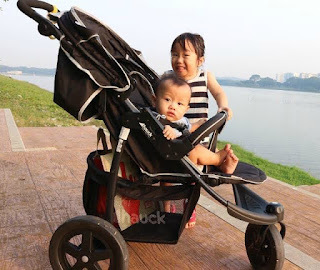 Next up on the blog train is Lynn, a SAHM to her two young children, Faith and Daniel. 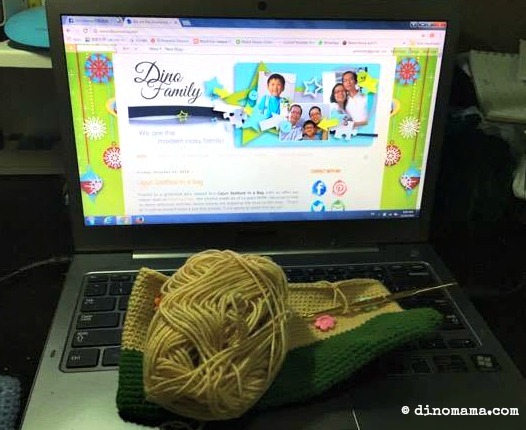 She spends each day designing and carrying out homelearning activities for her children, on top of managing household chores. Through the blog, she hopes to share motherhood stories and resources with fellow moms, along with her other interests such as baking and health & fitness. So much fun reading your post! I feel that my time is quite stretched already (with only a toddler) trying to work + blog + hand lettering. And you even cook dinner daily! 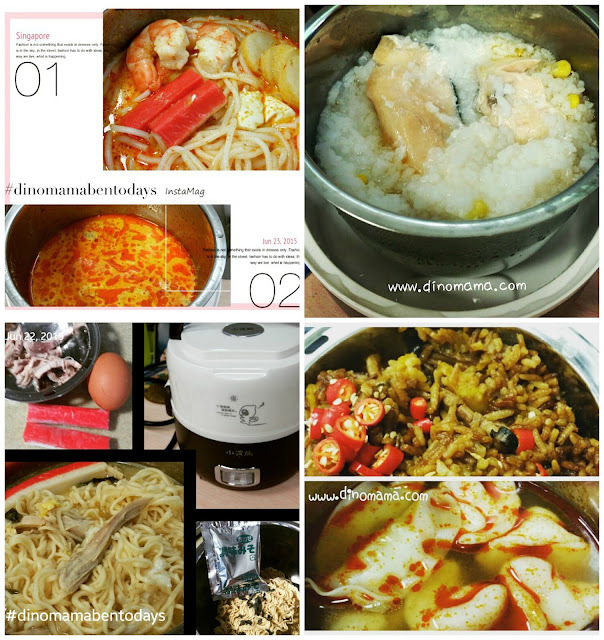 Cooking is easy when you do it often, but still mad rush lah. "Sometimes tempers flare in the kitchen"! sounds like us! Our kitchen is not huge and it's a VERY busy place. I'm always screaming "Mama is cooking! Please be outside!" Haha. Well done Jen, it's so encouraging to see so much effort put in! Put 2 cooks in a small kitchen and u will see knifes and chopping board flying around hahaha! Well, have to put in effort for the good of the family, that's what mum or woman will do. Reading DIAL of a FTWM always amaze me. You all are like octopus, can manage so many things in 24 hours. Kuodos! You my friend, are one amazing woman. Those lunches! (I love the electric lunch box too!) And on top of work you can cook such good dinners! Thank you for hopping on and sharing your day! yer know. i always admire mamas who cook decent meals. i never had to flare up in the kitchen cos my kids wont let me near it. hahah~ they "ban" you from entering the kitchen? ?